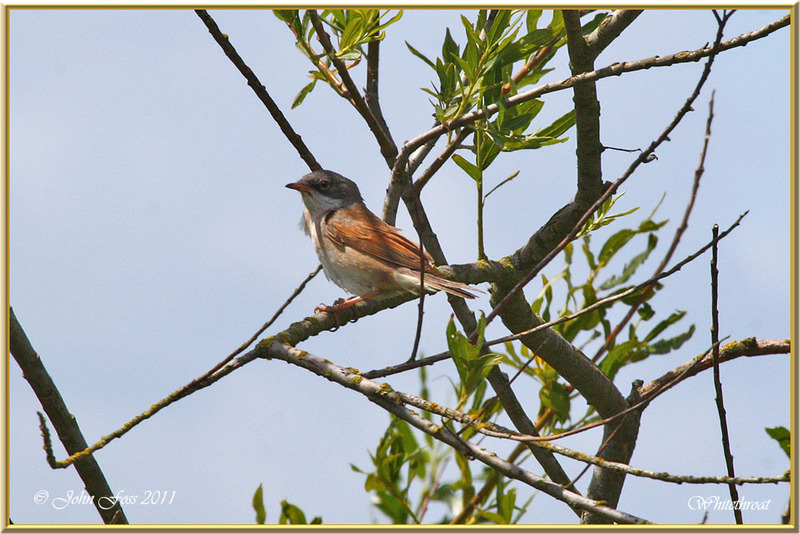 Whitethroat - Summer resident. 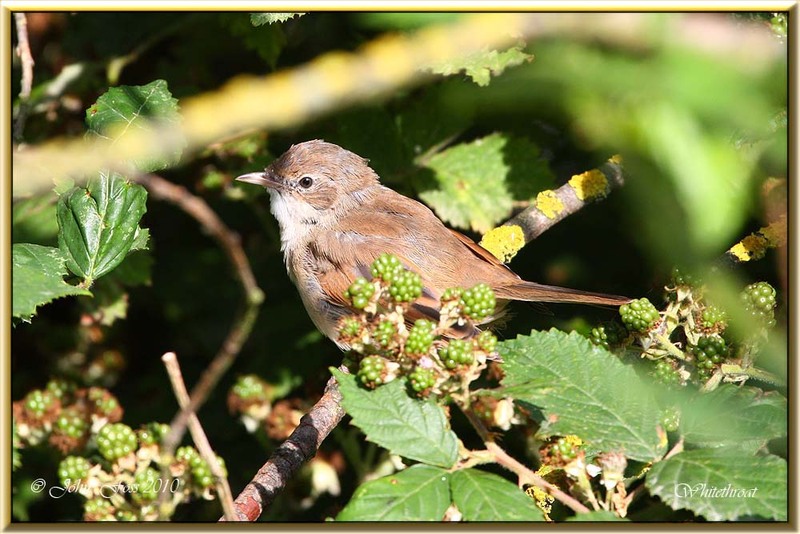 Scrubland and bramble hedgerows are favoured by the whitethroat. 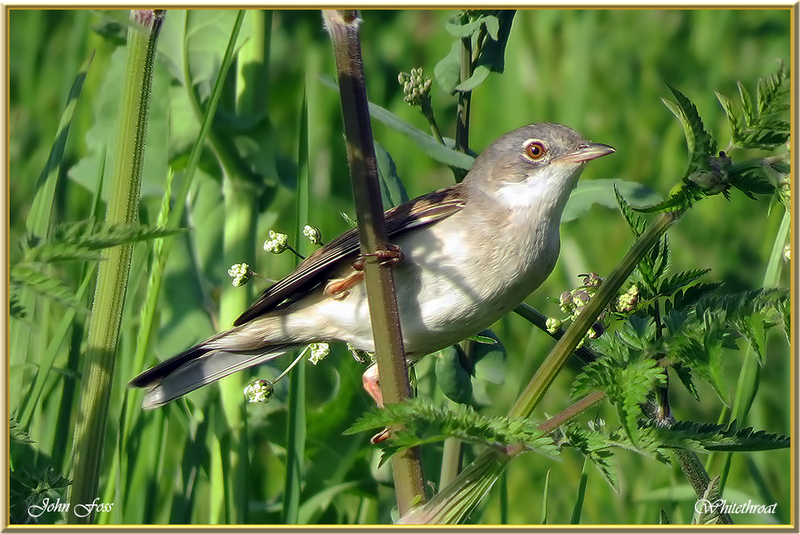 The male has a slate grey head. 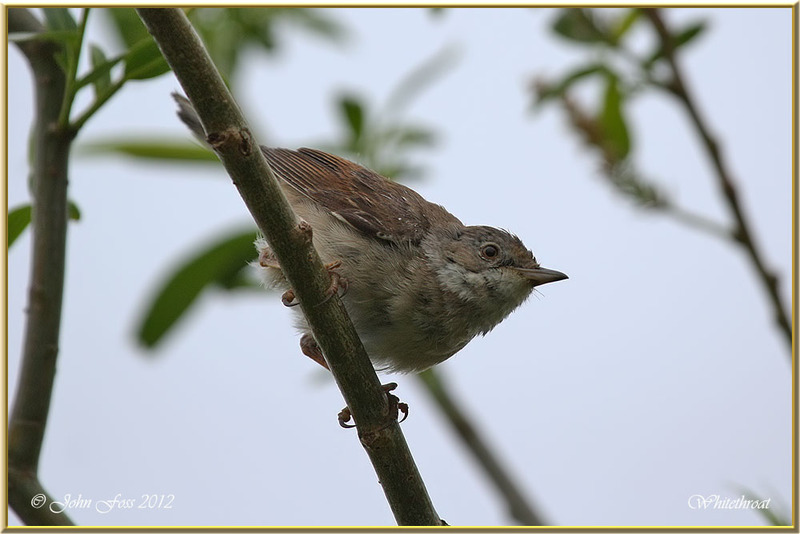 The female has a brownish head with an off-white throat. 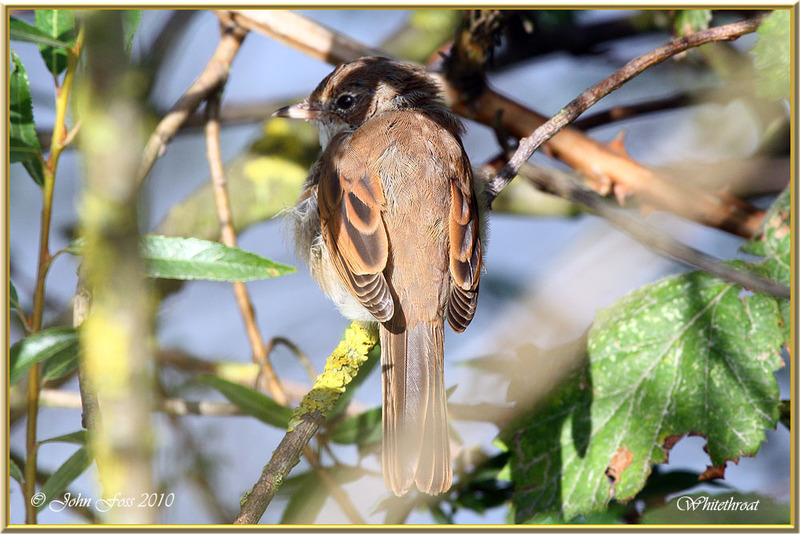 These photographs were taken at Attenborough Nature Reserve Nottinghamshire.